Storey Publishing, LLC, 9781580174015, 192pp. Learn to control mischievous puppy antics with humane, common-sense techniques. In an easy-to-use question-and-answer format, Diana Delmar shows you how to establish firm boundaries and clear expectations while receiving limitless love in return. Channel your dog’s natural energy into productive exercise and fun outings. Train him to go outside rather than on the carpet, and to distinguish between the dog food bowl and the counter. You’ll soon be confidently raising a safe, healthy pooch who’s a pleasure to have around the house. Diana Delmar is a freelance writer and editor specializing in veterinary topics and human health-care trends. 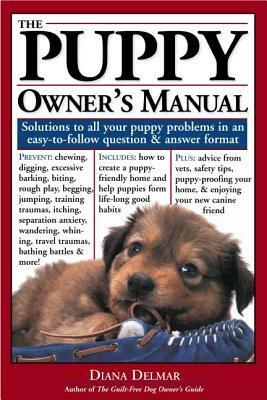 She is the author of The Puppy Owner’s Manual.